With the instability in the world, and now in our own country, it is becoming more important for You to be able to grow at least part of what You and Your Family eat on a yearly basis. Also big factors are the many chemicals and pesticides used on vegetables and fruits in the grocery stores, and the rising food prices we are all seeing. Many Families, like yours, are now growing their own Home Gardens--much like our Grandparents and Great Grandparents did with their Victory Gardens years ago. They grew their own Food, Saved their Seed, and were very Self-Sufficient. 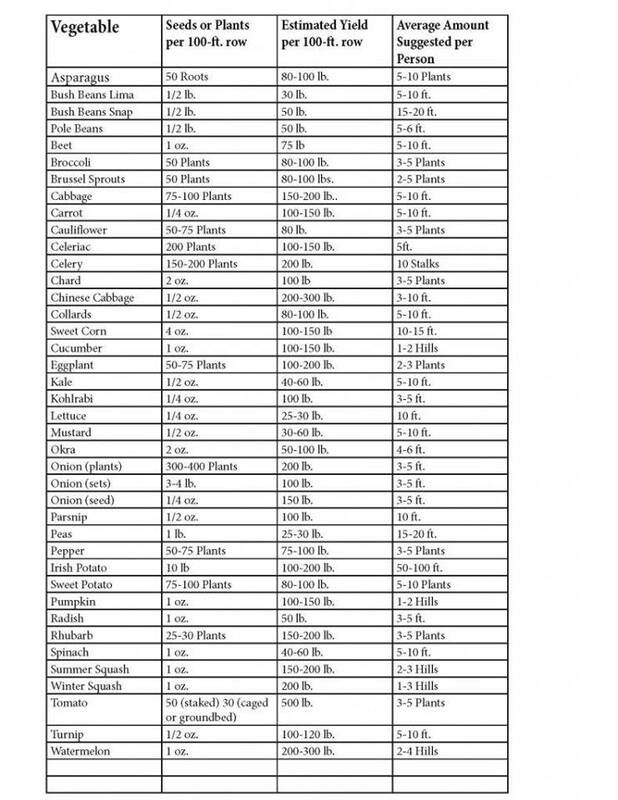 The chart below gives you a good idea of how much of each Seed variety or plant you will need to grow per person, based on picking and eating them fresh. If you plan on Canning or freezing your Veggies to get thru the year, you will need to plant more. I would suggest you multiply the amount listed by 3 - 4. Seeds or plants per 100-ft. row is the recommended amount or number to use for proper spacing and growth. Estimated yield per 100-ft. row is based on optimum growth, so it could be different from Family to Family. If you don't plant in 100-ft rows, then you can divide the amounts down to the size you do plant. So if you have a 5' x 4' raised bed ( 20 sq ft ), you would just divide the 100' results by 5 . 5) Control Pests ( insects, and the furry types) Companion Plants are a good way to control and deter pests, while staying Organic. You get 48 Veggie varieties, 7 Herb varieties, and then an 8 Organic Grain Pkg as a Bonus. You would definitely be able to Feed Your Family with this Seed package, and you can store the Seeds you don't use right away in the 10 x 14 silver mylar bag we provide. 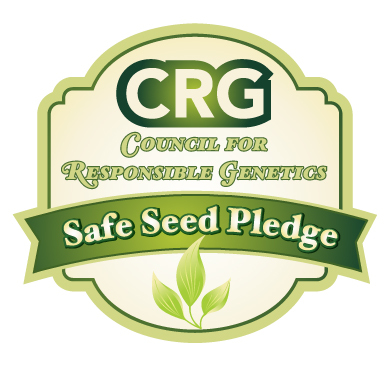 All Heirloom Seeds are Small Farm-Grown, we hand count and package to make sure you get no cracked or broken seeds, and they are fresh from the 2017 Spring harvest.